It’s the end of the awards show season, a time to recognize and celebrate the best of the best. 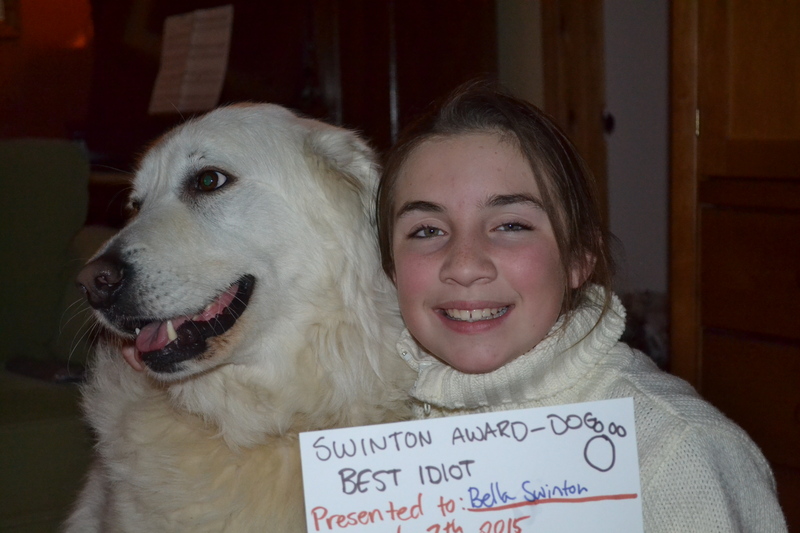 We held our very own awards show last weekend, the “Swinnies”. It was the brain child of my very creative and brilliant daughter Grace who is forever coming up with awesome ideas for us to do as a family. As awards shows go, it was epic. Clare sang the national anthem (note to awards show producers —this should be how every awards show starts). There were over the top musical performances, wardrobe malfunctions, someone even tripped on the red carpet. 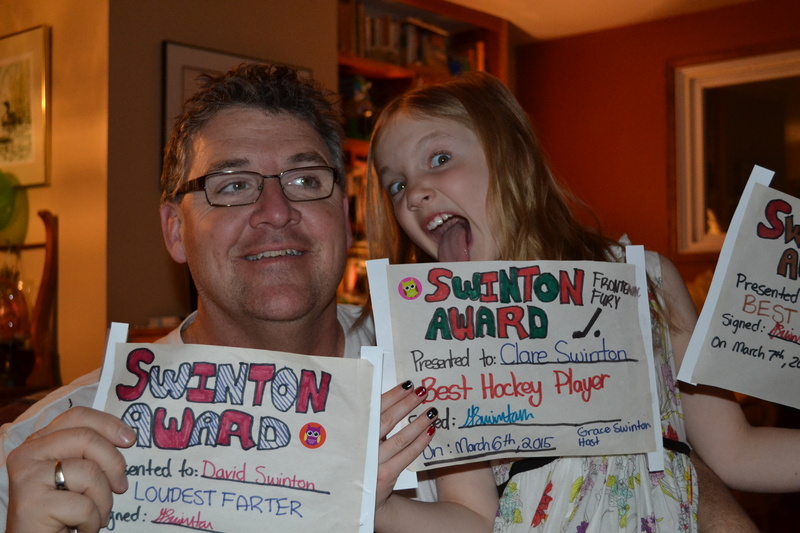 The acceptance speeches moved us to tears…of laughter. This week’s #HappyAct is to hold your own awards show. Make it epic. And don’t forget to watch the Junos tonight honouring the best in Canadian music. So, what did you win, Laurie? Or do I dare ask?! I won Best Volunteer, Best Gardener and Best Swimmer!